For Memorial Day weekend, we’re reposting this 2013 essay by Michael Leach. We thank those who serve and continue to serve our country. I wonder how many people take family heirlooms to the cemetery on Memorial Day? These are blossoms from plants handed down from one generation to the next. Most gardens have such plants. Felder Rushing, a Mississippi gardener and writer, calls them pass-alongs. 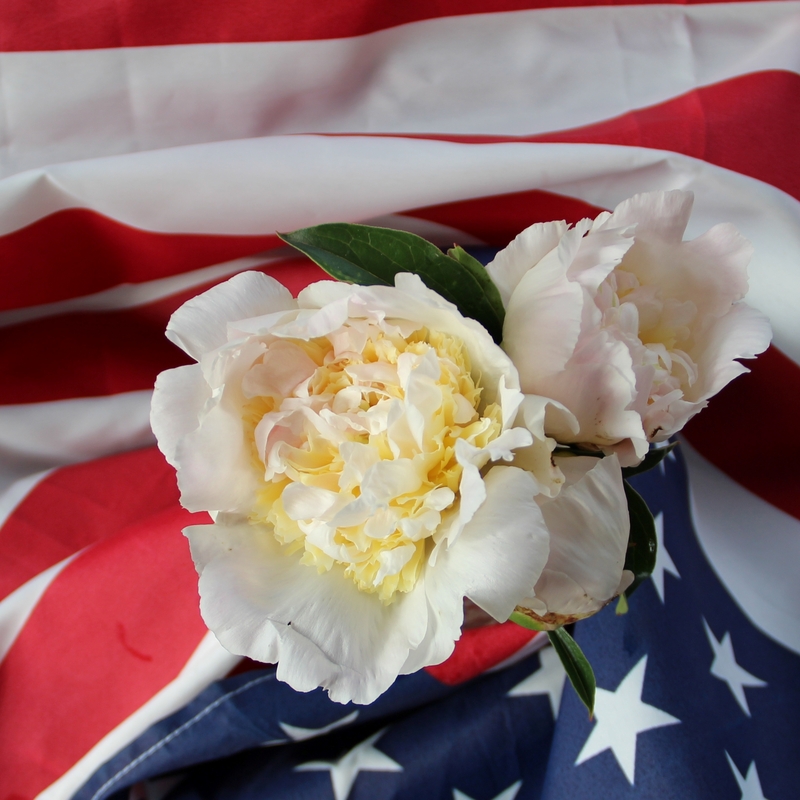 Weather permitting, peonies were always among the Memorial Day bouquets for my family. At the family home place where I live, all of them came from my grandparents or great-grandparents. They readily shared these cast-iron standards along with garden phlox and iris, plants growing in my garden today. Maybe that’s why I never feel lonely as I garden in blessed solitude. Memories return with the fragrance of the masses of sweet violets that grew so thickly around Auntie’s back door they perfumed the air and took away my breath. Dreams of tropical places enchanted me as a child, and so I was attracted to Grandpa’s yucca. I suppose the spiky leaves resembled some type of palm to a 10-year-old boy. I had to grow much taller before I could smell the sweetness of their satin white flowers, a much-anticipated annual event. Unlike the yuccas, the peonies are slowly declining. Ever-increasing shade, a boon and bane, has nearly eliminated most of the 60 or so plants of perhaps a half-dozen varieties that graced beds and borders. I suppose no one needs that many reminders of long-gone contributors. Besides these family treasures, my garden grows memories of other gardeners who shared columbines, brunneras, roses, wildflowers and day lilies. Even indoors heirlooms whisper old tales. My great-grandmother’s sprawling Christmas cactus blooms every year, usually starting in January. Such a lapse can be forgiven a grand dame who may be 100 or so. Unlike funeral flowers, such plants make me smile. Perhaps because I remember the donors in their gardening years, active, yet at peace, working in their little Edens.